Discussion in 'Vintage' started by Luke Haymond, Oct 18, 2018. Im a total newbie. Bought this off a collector. It had no lining (I have since had it lined. If other photos will help happy to take additional. The main zipper is a Talon, the sleeve zippers are SWIFT - does that rule out original zippers? Thanks in advance! Really enjoying the knowledge and unbelievable jackets you guys share! 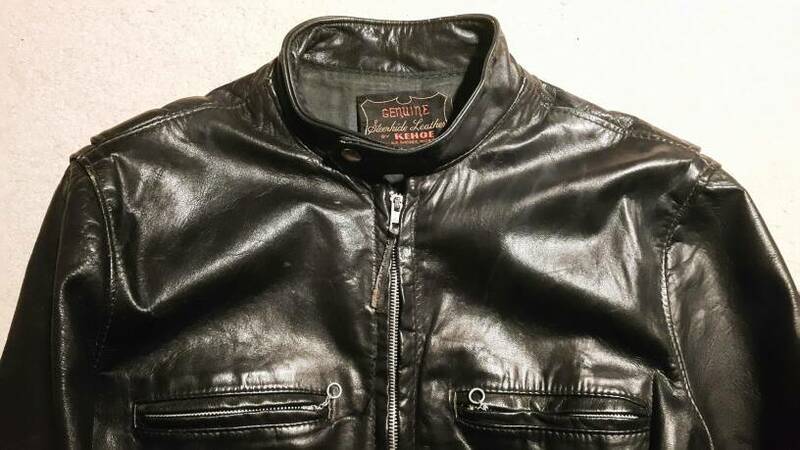 My guess its made by Brooks Leather of Detroit Michigan USA,original lining would have been black cotton . I have uncovered some posts in the Fedora Lounge that suggests it may be a Kehoe? Any opinions on that? 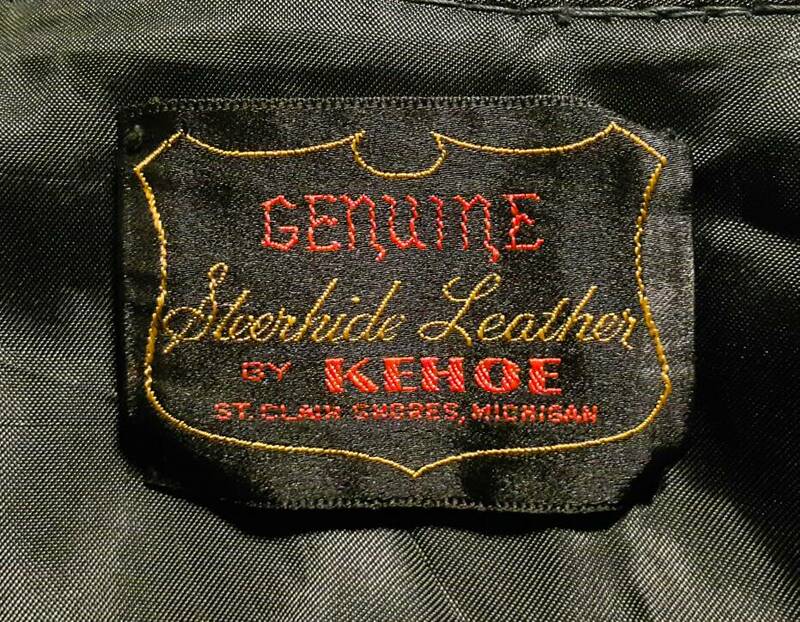 Could an original Kehoe have a Talon main zipper and Swift sleeve zips? And how could I date the jacket? Thanks in advance! I haven’t a clue. However someone will know. In the meantime welcome to VLJ. May I suggest going here and introducing yourself? Fidelity Leathers is another possibility? I had really hoped to get some additional input on this Jacket. If you have an opinion on either the manufacturer OR the year of manufacture, I would be ever so greatful for the input. Welcome. Please introduce yourself with a bio and you are sure to get more responses. Will do, right away! Thanks for the tip. I'm thinking Brooks as well. At some point Brooks had imprinted snaps but I don't see that on yours. The zips appear original to me. 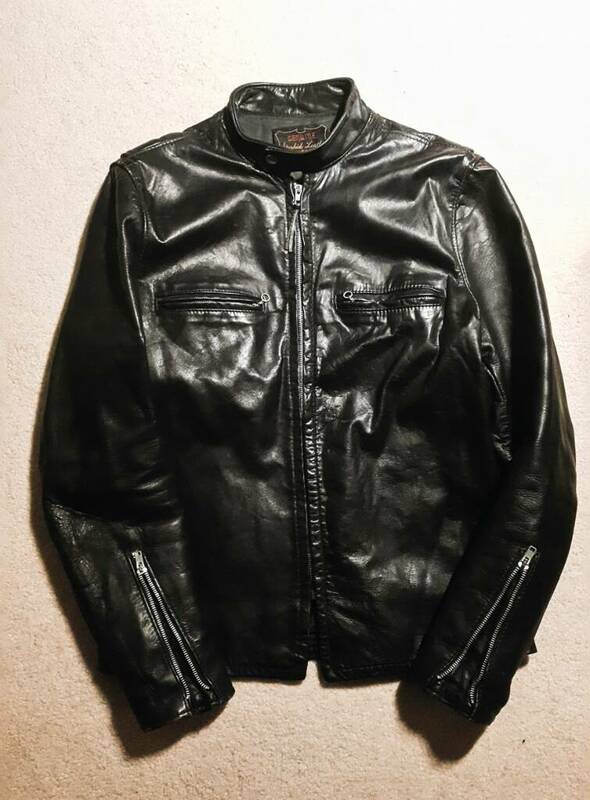 Your jacket has many similarities in construction to my Brooks - old and older but neither are true cafe racer jackets. 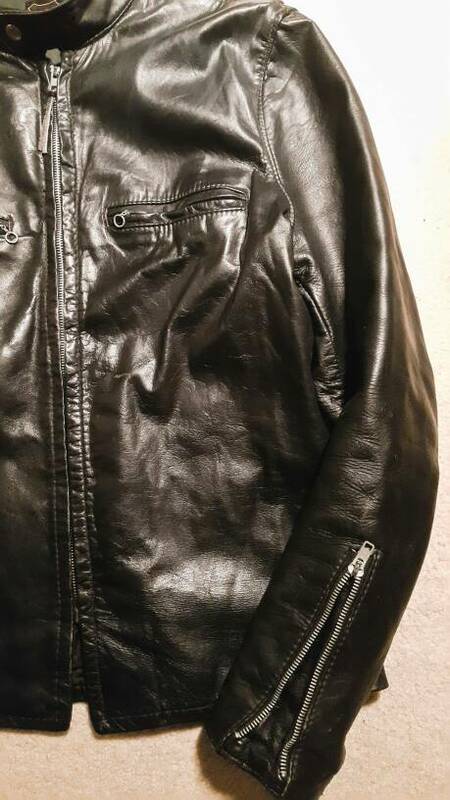 The sleeve zips on one of mine also has the leather cut at the base of the zip rather than folded under as it is on the sides of the zips. My Schott vintage cafe and Perfecto are folded all around the sleeve zips and my early 80's Brooks(semi-cafe) has imprinted snaps but has the sleeve zip opening made of the sleeve seams rather than a cut out. Hey, Dave - would it have been unusual to have a Talon main and Swift sleeve zips? I am hoping the zippers are original. Does anyone have a Brooks with this zipper format? And what makes this different from a “true” cafe racer? Well, my Brooks had the rounded shoulder and arm patches(think Michael Jackson). My mother was a claims adjuster and was able to buy it as a salvage item when it was replaced from an apparently minor moto accident. I had to grow into it in the early 80s. She had a seamstress replace the torn arm which wasn’t very extensive(IIRC it was just inside the sleeve zip). Anyway, it has more of a style element, heavy and protective but with slash pockets, plastic zips, and the same crew-type collar. So that’s what I meant. My Brown Schott cafe was a gift from my wife’s father. He wore it on bikes in NYC in the 70s. My zips are all the same Talon make on my biker jackets but certainly not the same style with the larger pull on the main zip. I cannot explain yours unless just the slider was replaced(fairly likely as it is not a difficult thing for a repair place to do).